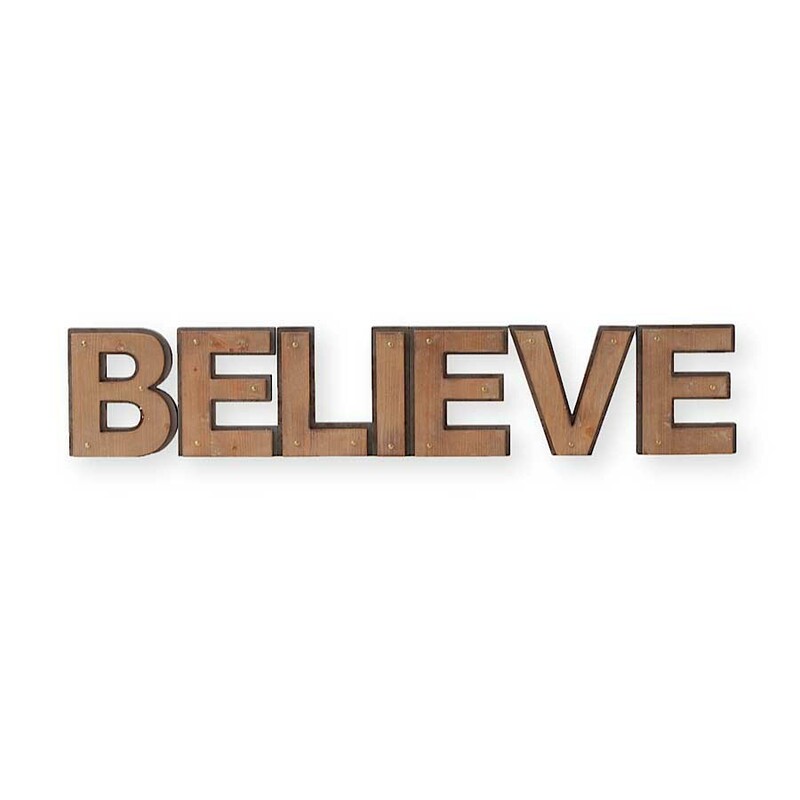 The Believe Wooden Sign says it all! We believe in love. We believe in Santa and we believe in goodness. These letters let you express what is most important to you as an integral part of your home decor. Do you believe? Accented with brass studs for an extra touch of elegance.